People often ask: whether they should clean up Mac? Are cleaning apps safe enough for that? Today we decided to write a special post and make everything clear here regarding CleanMyMac. However, there are many other files in the system and third-party apps that are not controlled by your Mac, outdated or simply useless. The system keeps them just for the sake of it though they can be deleted with no harm to your Mac at all. These are caches, logs, language files, broken preference files, corrupt startup items, system junk, trashes and leftovers. 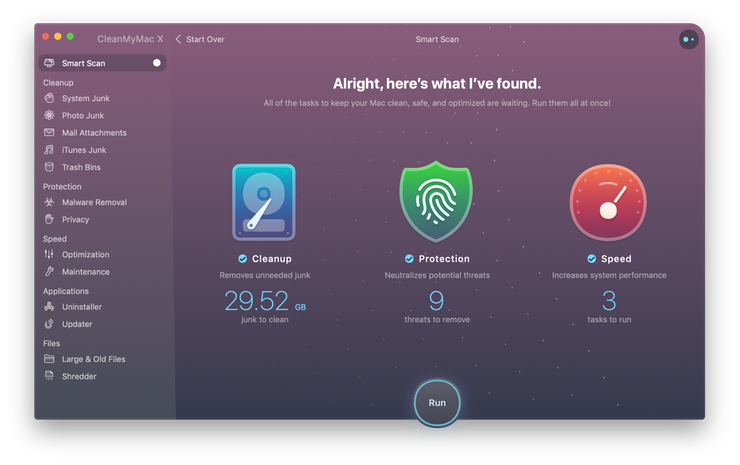 You can learn more about the safety of cleaning your Mac with the help of CleanMyMac here: Is CleanMyMac Safe? Now, you may think that it is totally safe to clean Mac OS X with whatever Mac cleaner you like. However, it is not. Blacklists them. The black list is a list of system and application files that should not be deleted under any circumstances. Although some of them may not affect your system immediately, it is still better to avoid cleaning them. We update our black list regularly, so make sure you have selected Check for updates Automatically checkbox in CleanMyMac Preferences. For instance, Adobe’s Photoshop checks itself for integrity on every launch. If any of its files will be cleaned, the app will be halted, even if these files are completely useless. Greylists them. Grey list is a list of questionable files. 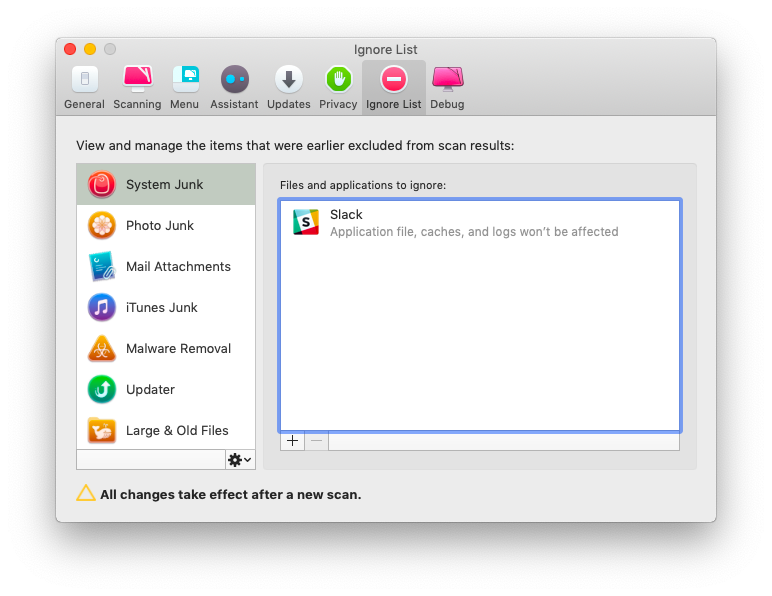 When you click Scan CleanMyMac examines your Mac for these files but unchecks them for deletion. You can still check and delete them, as it can help you solve particular problems. However, if you are not an advanced user, it is safer to leave them untouched. Adds to Ignore List. Ignore Lists contain the info on applications that are recommended to stay untouched, as cleaning them may lead to improper performance or not desirable results. If you don’t want an app to be affected by CleanMyMac for some reasons, just add it to the Ignore list. In that case we also recommend you to share your Ignore list and system information with us (that can be enabled in the CleanMyMac preferences). All the apps that you will share with us will be manually tested by the MacPaw team and added if necessary in the global built-in Ignore List of CleanMyMac. 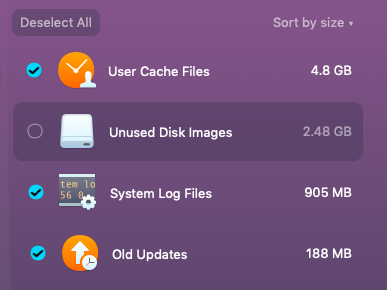 All these measures allow CleanMyMac to scan the particular Mac as thoroughly as possible and find only the files that are safe to delete. But that is not enough for us. The number of CleanMyMac users has recently exceeded 1,5 million and it is very important for us to make CleanMyMac both safe and effective for every single user. To achieve that we have hundreds of beta-testers that help us maintain the above-mentioned lists and keep them up-to-date at any given moment of time. Before its release CleanMyMac is being tested on dozens of different configurations starting from Power Mac G5 and ending with the latest-generation Mac Pro. Our highly professional QA people are another important part of our team that makes sure and double-checks the new versions of CleanMyMac are safe and stablBesides, we expanded our Support Center so that any user could easily know everything about the CleanMyMac functionality. Now it contains User Guide (PDF) and frequently updated Knowledge Base and FAQ sectionsWe do everything to make CleanMyMac easy-to-use, secure and trouble-free. Most probably, there is no other way to make CleanMyMac safer and more reliable that it currently is, and there is no other company that makes such efforts to bring ultimate safety to their utilities. Hope this post will help completely shatter all the myths and controversies regarding CleanMyMac safety.